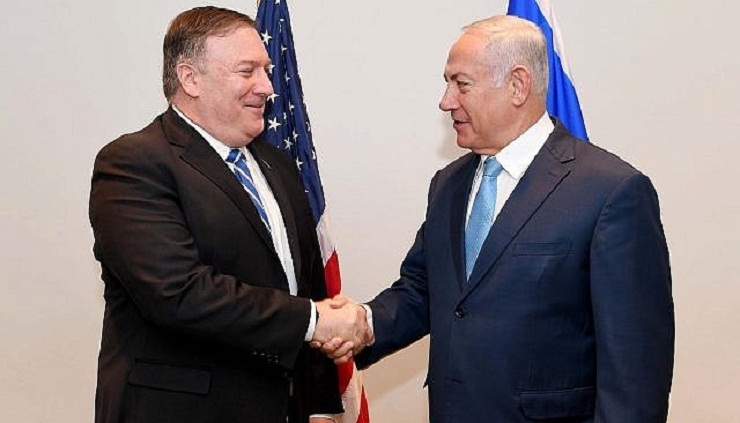 Israeli Prime Minister Benjamin Netanyahu will travel to Brussels on Monday, his office said, for a meeting with US Secretary of State Mike Pompeo. Netanyahu's office said the meeting had been set last week, but provided few other details. "The two will discuss regional developments," a statement from Netanyahu's office said, noting he will be accompanied by the head of Israeli spy agency Mossad, the head of his national security council and his military secretary. Netanyahu's trip comes a day after police recommended indicting him and his wife Sara for bribery and other offences, the third such move against him in recent months. Both have warned of Iran's presence in Syria, which neighbours Israel.